The first thing you must understand is what makes a word real. Go on, click the link, watch the TED Talk, come back when you’re done. I’ll wait. Language change is constantly happening. “An apron” used to be “a napron” (related to “napkin”) but since almost nobody who used aprons was literate back in the day, the line between “a” and “an” got fuzzy in speech and the N got shifted over. Because this happened hundreds of years ago, no one gets up in arms about people not using the correct form of “napron.” Other than children and the now-archaic brethren, English has almost lost it’s -en ending for plurals, and oxen is giving way to oxes in some dialects. Yet when I told some friends that I had noticed many of these 17 and 18 year olds using conversate in their essays, people got upset. People argued that a word already exists: converse. You converse, or have a conversation, but you do not conversate, people insisted. Most people accept that oxen is a funny plural, and agree it ought to be oxes. The use of conversate is no different than the use of apron or oxes. You create creations, you abbreviate abbreviations, you conjugate conjugations, so why not conversate a conversation? 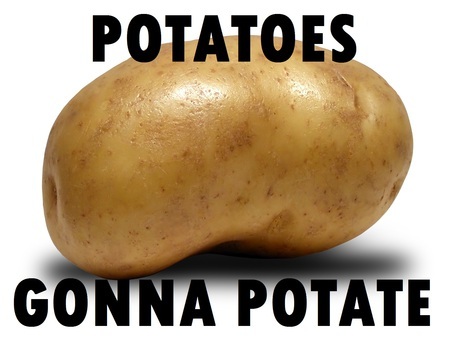 It’s perfectly logical. There’s a good chance these students, born in the late 1990’s, have barely even been exposed to converse but have has a lot of exposure to the word conversation. 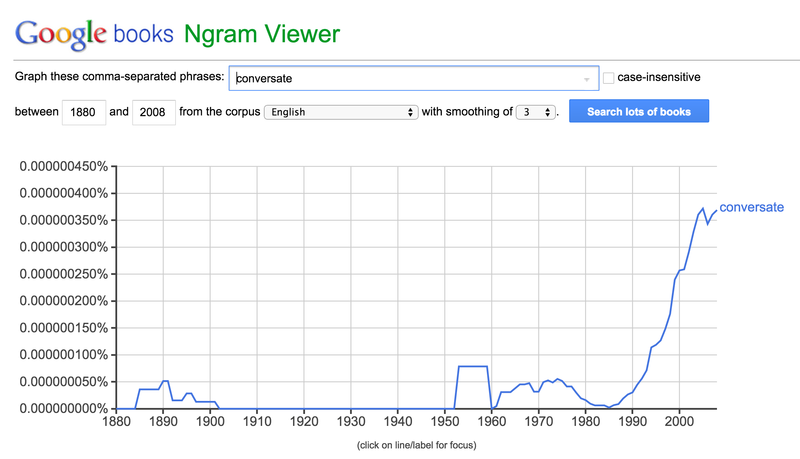 But what happens when you zoom in on just the word “conversate”? As it turns out, this non-word everyone is upset about has been around since the 1880s. Sure, it was extremely infrequent and sporadically used for a hundred years, but its use has been on a very steady incline since the early 1980s. 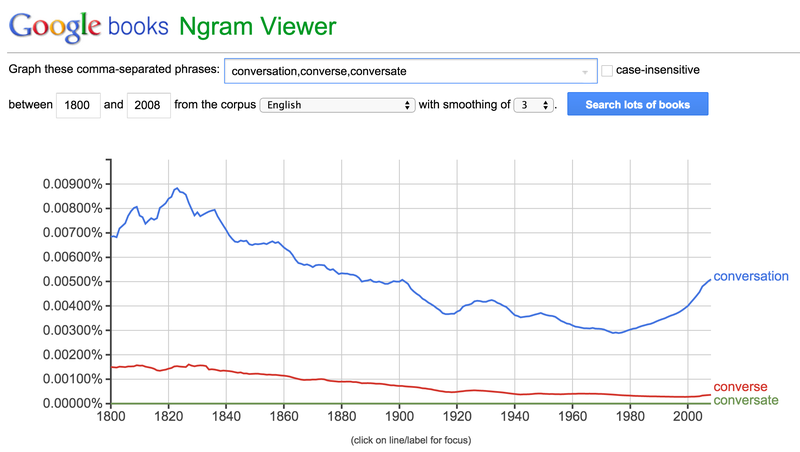 I wouldn’t be surprised if conversate is the “real” word and converse sounds stuffy and archaic by the 2080s.